The Georgia Gift Card Law has been in effect since 2005 and protects consumers upon the purchase of both gift cards and gift certificates within the state. The law also applies to other prepaid cards bought in Georgia. Georgia is not the only state to enact legislation in an attempt to protect purchasers of gift cards, but the Georgia gift card law is specifically designed to carify the various details of the card. The law requires that fees, expiration dates, and other particulars are prominently displayed on the card - or on a sticker attached to the card - so that there is no confusion as to how the card can be used and for how long. The actual name of the law within this state regarding gift cards and gift certificates is The Gift Card Integrity Act of 2005. 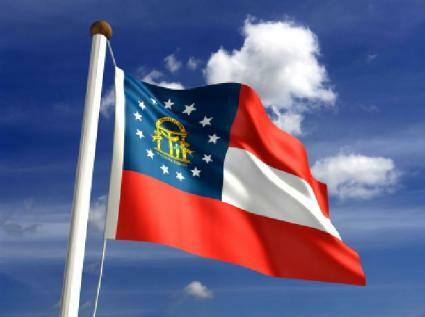 This law applies to all gift cards and prepaid cards which are purchased within the state of Georgia. A department store gift card purchased as a gift falls under the same law as does a prepaid Visa card purchased for repeated use. Any gift certificate purchased within the state must also adhere to these rules. The card or certificate must have specific terms and a predetermined method for redemption. Purchases and recipients must be able to request the terms of the card or certificate from the issuer. Issuers of cards and certificates must adhere to the specifications within the terms. Any expiration date must be printed on the card or certificate, and must be printed large enough to avoid confusion. This does not apply to cards and certificates which do not have expiration dates. There must be a thorough and complete listing of any fees associated with the card or gift certificate placed prominently on the card. The listing can be listed directly on the card or certificate or can be listed on a sticker and placed onto the card or certificate. Any card or certificate which does not adhere to these rules should be reported to the Georgia Office of Consumer Affairs. This office investigates and responds to complaints of fraudulent gift card practices. It is suggested that consumers with complaints should first attempt to resolve the problem with the card or certificate issuer prior to filing a formal complaint, but the Consumer Affairs office will investigate valid complaints. Complaints must be submitted to the office in written form, although representatives are available over the phone for general questions regarding gift card practices within the state. Some cards also feature expiration dates, so purchasers must be sure to understand what happens upon expiration. Issuers have different rules when it comes to expiration dates; the balance on the cards will either expire and become completely unavailable, or the issuer may offer to transfer the expired balance to a new card for a fee. The particulars behind the card or certificate should be explained in plain language and should be easily accessible by both the purchaser and the recipient. Any card or certificate issuer that refuses to explain terms in easily understandable language is operating contrary to Georgia law.